Found one file extension association related to Scrapbook Flair and 1 file format developed specifically for use with Scrapbook Flair. Developer: Aurora Digital Imaging, Ltd. Developer / company: Aurora Digital Imaging, Ltd.
Easy to learn, simple and fun to use. 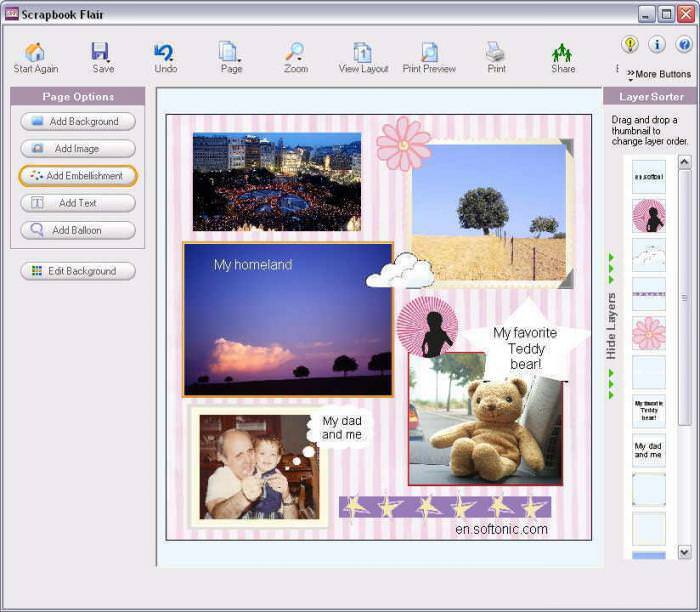 Make beautiful scrapbook pages from your digital photos in minutes. Includes hundreds of backgrounds, embellishments and design templates. If you need more information please contact the developers of Scrapbook Flair (Aurora Digital Imaging, Ltd.), or check out their product website.